On 2/16/16 The Wall Street Journal published an article called The Common Core Has its Supporters. It used the East Moriches School District in NY as the model for this. The WSJ spoke to two teachers and the superintendent and choose to ignore parent voices! Here one parent, who has a child in the district, responds. After Mr. Hempfling's response here are some teachers in NY who do NOT support the Common Core and their reasons why. I am a father of three sons two of whom attend East Moriches School in East Moriches, New York. After reading the Wall Street Journal article on the Common Core Learning Standards in East Moriches I felt it was necessary to write to explain the perspective of people who oppose the CCLS. First of all I would like to state that I applaud the efforts by the teachers and administration in our district to improve instruction. As an educator myself, it is crucial for teachers to constantly strive to improve instruction for our students. However, I feel that the rollout of the learning standards and the overreliance of data to measure student progress have been detrimental to many of our children. In all fairness this is an issue statewide. Did they ask if the standards are developmentally appropriate for all children? Did they ask about the rollout and the effect it has had on the kids who are now in middle school? Was there any discussion about the lack of time given to Science and Social Studies to increase ELA and Math instruction? Did they discuss the impact that these standards have on special education students? Did they ask how the CCLS impacted English Language Learners? As a parent it hurts me to hear my son tell me how much he dislikes school. It hurts me to hear that he hates reading now. This was a boy who brought books to me since he could walk. He told me last year when he went outside for their 13 minutes of recess that he wished he were on the other side of the fence. He sounded like an inmate not a fifth grade student. I feel more research must be done to question how appropriate it is to push young children to perform academic tasks that they may not be developmentally ready for. We must also ask the question: What is being sacrificed at the expense of academic rigor? I suspect I know the answer, social studies, science as well as recess. I feel special education students and English Language Learners can be getting shortchanged as well. These students need “pull back” classes on a daily basis to reinforce what they have learned in class, working on organization skills and study skills to overcome the challenges they face. In closing, we all share the goal of giving our children the best educational experience we can and I respect the professionals who tout the standards the right to their own opinion but I must respectfully disagree with them. We must provide our children with a challenging but developmentally appropriate curriculum and I believe we must expose our children to all of the academic subjects in a more balanced manner. Here is how some NY teachers feel about the CC. A counter narrative to those who support it in the WSJ article! I teach pre k in NYC. Their is no magic wand to make children ready for kindergarten that expects them to be at a certain academic level. Children are not ready for K simply because kindergarten is not on their developmental level. Force children to do what is beyond their developmental level and you will have behavior problems. I teach 4 through 8 grade. My daughter is in second grade. What I am observing about Common Core is it is teaching helplessness and not allowing children to develop metacognitive skills. It teaches the "correct work around" to use in solving a problem. When children are learning a new skill, their figuring out how to solve the problem is what causes metacognition to grow. The "work arounds" are good for kids who are having problems, but by making them part of the curriculum, we are taking away a very important part of the learning from the children. I teach HS English. The Common Core purports more rigor, but only with short pieces, and moreso informational text. How am I supposed to teach theme, or characterization when I am only supposed to teach effects? Which excerpt of To Kill a Mockingbird would give you a sufficient understanding? Answer: there isn't one. And how does that prepare these kids for the incredible amount of reading at the college level? Again, it doesn't. Make 10 to add/ Make 10 to subtract. They aren't fluent in being able to make 10 at all! This just makes a one step add or subtract into 3 steps and they have no idea why.The worst parts are algebra for concrete 6 year olds and 6=8-2 where the equal sign is first. They cannot grasp it so I literally have to tell them how to plug in the numbers to get it correct. There is no understanding. If you taught basic number skills in early grades THEN when they understand basic addition and subtraction and number sense add these on in 2nd or 3rd grade, they'd be able to do AND understand it. I teach 2nd grade. My concern is also math. Students do not have an understanding of number sense then they are expected to regroup up to 3 digit numbers in addition and subtraction. In 2nd grade, they also want students to break apart the ones to make a ten to add or subtract. Really?? Can we spend more time on basic addition and subtraction facts? My students are expected to add 24+8 by making the 8 into 6+2 and adding 24+6 = 30 and then add 2 to get 32. To add insult to injury, 2nd graders are expected to complete 2 step word problems on concepts that aren't appropriate. I teach kindergarten. I feel the CCS are developmentally inappropriate. We are asking 4,5 and 6 year olds to "Confirm understanding of a text read aloud or information presented orally or through other media by asking and answering questions about key details and requesting clarification if something is not understood." For example. We are asking them to write when many have not made the connection between letters and sounds. There's no time for social interactions and working through conflicts. There's no time to help reach them self help skills (shoe tying, buttoning, zipping) I could go on and on. CC is as broad as it is pointless, I recall a PD where we were given activities and challenged to align it with CC standards. I opened the manual to random pages, would blindly point, and could justify the connection regardless of activity or standard. I teach ESL, so have worked with all grades K-8. I hate the Common Core; it does not meet the needs of second-language learners, and is developmentally inappropriate for primary students. I'm a Teacher Librarian for grades 6-12. (I'm in my 27th year of teaching. ) I take great issue with the CC's emphasis on informational text (at the expense of story/fictional/narrative text). I work with many students who are marginally successful readers, others who are very reluctant readers, or those who are accomplished readers driven to find connections between story and their lives. A 70% diet of informational text does not meet the needs or reading desires of most of these students. In addition, a hefty diet of short, informational text does nothing to develop my students' abilities to read, understand, analyze, synthesize & reflect on longer narratives! But, perhaps that's what the authors of the CC want -- a generation of Americans unable to successfully engage in critical thinking! If citizens can't think critically, they are much more easily manipulated & controlled by those in authority! I teach 8th grade. The emphasis on informational text makes my students hate reading. I teach kindergarten and bc of the CORE and the need to get them "ready" so much trickles down to my little ones. They cry, act out, tune out bc the work is too hard for them as it should be bc they are NOT READY! Some of the frustrations are part of the curriculum districts adopt that are not good and not developmentally appropriate which is the case for us, so a tangent of the CORE. I teach high school Spanish. The Common Core hasn't directly impacted my curriculum because I teach a non-required elective, so the administration is too occupied with hounding the core teachers. That said, Common Core has impacted teaching and learning in my classroom because students endure pressure in other areas and have less endurance for the rigor of learning a foreign language. In addition, they have become programmed to believe that all learning tasks must give them a preview of a finite set of responses they will see on a test; therefore they are less willing to utilize the information and skills to create new, personally relevant knowledge. 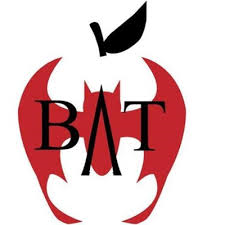 Perhaps if I taught in a district that wasn't desperate to remain accredited, the core teachers wouldn't be as forced to stop teaching and prep for the tests. I teach 1st grade - CC's emphasis on "critical thinking" and children needing to explain in "academic language" their thinking is completely inappropriate for young children. The developers of these standards took the backfilling approach which might seem like a smart thing but does not pay attention to the fact that children do not develop in a linear fashion. I am fortunate to work in a school where I am trusted to teach in the way that I know is developmentally appropriate. But I weep for the children (and their teachers) who are being dictated to and pressured to learn reading and abstract math well before they are truly ready. I teach 6th grade, and I echo what will undoubtedly be said by many--the emphasis on non-fiction and close reading is killing a love of reading as well as creativity in the classroom. I teach high school English: Sophomore Language Arts, senior Rhetoric and Composition, and AP Literature and Composition. I hate the fact that Common Core does not mention reading a novel. Not. One. Not. Any. I teach 8th grade Math. My main concern is having to teach the same material to the college bound as well as my lowest level students. I have a class that spans 8 RIT bands and it's hard to serve all of them well even with differentiation and a co-teacher. Kids who already have a dislike for Math hate it even more when forced to do something beyond their capabilities. I teach integrated kindergarten- general education "typical peers"  and students with special needs . I'm dual endorsed and I am their case manager. The Common Core is not developmentally appropriate for kindergarten's "typical peers" and is even less appropriate for students with special needs. The end of the year expectations in reading, writing, and math are developmentally inappropriate. Expecting ALL kindergartners to read at a Level D or E by the end of the year is wrong. 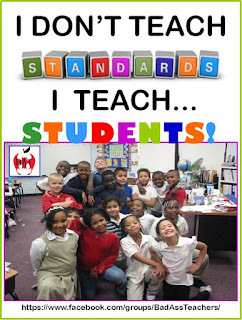 Common Core moved 1st & even 2nd grade expectations into kindergarten. Child development did not change. This puts unrealistic expectations on very young children who are anything but standard, on children who need play and movement, choice and the arts, exploration indoors and outdoors to learn. Instead, Common Core pushes seat work, scripted lessons, didactic teacher control, and close-reading with a heavy emphasis on non-fiction. Writing expectations are especially difficult! Young children are just learning letter formation - yet are expected to learn to write narrative, informational, and opinion texts. And WHY in the world did they eliminate pattern instruction when all of life is connected to recognizing patterns? The lack of patterns to me is key evidence that the people involved in writing these have no idea what learning or child development entail! I teach 7th grade math. If a student did not have common core grades k-6 they are unprepared for what is required at the seventh grade. The idea that kids must fit the class room curriculum and not the curriculum fit the kids is il conceived. If a kid comes into my class and can't multiply with ease, that should be the standard I help him to learn. Trying to get a class to solve two step inequalities when they can't add fractions is absurd. Teach to the kid, not the test. The over emphasis on close reading denies students the opportunity to make the connections necessary to understand why things happened. Denying students context simply robs students of understanding. I teach 7th grade science so I am not directly affected by CC changes. However, it is obvious how detrimental the changes are to my students who are mainly ELLs. The English in particular seems the most different. All the kids do is try to find "evidence" and read nonfiction. No novels are read in my school in 7th or 8th grade. I teach H.S. spanish. Honestly, I ignore it all. However, I'd like to make a point as a parent of a 15 year old. My daughter, when in elementary school, enjoyed reading non-fiction. However, she was not able to get her "points", for her reading goals with her non-fiction books. In other words, it was DISCOURAGE! Now, years later, she struggles with the text. Shameful! This CC disaster should not have been rolled out in all grades as kids did not have proper training in dealing with required material. That being said, the level to which all grade levels are expected to perform are inappropriate; it is beyond their maturity. The belief that reading non fiction is so important that novels and short stories are ignored, fails to recognize the value of HG Wells and Jules Verne in getting a generation of scientists started. I teach 5th grade-all subjects, however SS & Science are taught through the modules. UGH! We are told to use the module required readings and adapt when needed the rest. I have witnessed the spirit of reading and writing diminish from this nightmare. I see a great deal of the writing boring and regurgitated due to process CC wants you to use. Close reading only creates bored students. Citing evidence at such an early grade is ridiculous. I am teaching lessons geared for 7th or 8th grade students. I have decided to put the kids best interests in mind and not my own APPR crap. This year has been my best year of teaching since the last five years of CC Crap. You know why? Because I am an activist for children! After 30 some years in education, I know what is right for children. I will not keep silent. BTW Math is ridiculous. There are enough videos from others that show you the harm of this. No one can do basic math, nor do they have money skills. Oh and I forgot to mention, we now teach Human Rights, not the Constitution of Declaration of Independence. So sad. This year I introduced Responsive Classroom. My students and I love the entire process. Not much time left for CC garbage. Thank goodness. Real world learning! I teach middle school 6-8 ELA (reading and English in the sixth grade). I think the intense emphasis on the technical aspects of literature as opposed to content is turning kids off to writing. Most of these skill are ones that experience readers understand, but inexperienced readers have trouble comprehending them because they don't have the literacy base to really see their importance. I think the CC ELA skills are too technical to be compelling, as if we've stripped content from reading, and the only point now of reading is text analysis. I think struggling readers need to read more — meaningful literature — instead of the snippets that they're given as test prep. I try my best to integrate the CC skills into the literature we're reading, but even I get disgusted with them. Visual art, grades 7-12. The emphasis on a common core curriculum combined with the linking of student test scores to teacher and administrator evaluations has narrowed the curriculum. Students are being forced into courses that have the potential to raise test scores and out of non-tested subjects. The students that I do see, are often bewildered, some of them to the point of being paralyzed when presented with a problem that requires decisions between multiple and equally valid resolutions. They have difficulty processing and remembering how to use multiple steps to make or do something. Sadly, many students have never developed the patience necessary to accomplish a complex task. Students who are hands on...the makers, the dreamers, the artists, the innovators, and craftspeople are being cheated of the opportunity to begin their journey of discovery in the quest for uniform test proficiency. I teach HS math. Our district math specialist was selling us CCSS a few years ago, claiming that she loved how it covers concepts slower and deeper. When we asked her what she was talking about, she said "Oh, yeah. I wouldn't want to be a high school teacher for the sheer number of things you have to get students to master." There's an inverse relationship between mastery and number of topics! I teach second grade. While we technically have Florida Standards, not 'Common Core" if it quacks like a duck...... I have a hard time dealing with the math. Kids can regroup without difficulty, but when you start breaking apart numbers, it confuses them. It is referred to as "decomposing". When I think of that term, I think of something that stinks. Very appropriate in my opinion. I teach 7th and 8th grade all subjects in a self-contained special education classroom with students expected to pass the Florida Standards Assessment tests--reading, writing, math, science. My biggest issues with Common Core occur in my math classes. Skills and content have been brought down about 2 grade levels--especially when it comes to algebra. Students are not maturationally ready to solve multi-step algebraic problems with synthesis or evaluation questions that follow them. The other issue is the background knowledge that is expected. When kids aren't ready for a topic/concept, they need repeated exposure to that content over several years. There is no reteaching in my Common Core textbooks. Students are also supposed to be able to remember equations and formulas after one learning experience. The new textbooks don't provide support for those students by having the equations/formulas in the new lessons as a reminder. Topics are separated by grade level and not shared across grade levels even when they are topics that are connected and should be scaffolded across years. It is frustrating as a teacher and frustrating for my students. I teach self-contained IND Language Arts, Social Studies, and Life Skills for 6-8 grade. We don't do Common Core. We do a modified curriculum called Access Points. I like the curriculum itself- it's much easier to tweak for the individual student. However, the state is pushing more and more testing on our kids and it's stressing them out. They may not be tops academically, but they damn sure know what a test is. I teach 4th & 5th grade special ed. The CCSS are simply not developmentally appropriate--especially at the lower grades. We're asking kids to think very abstractly in math and reading long before they are able to do that. Too much is covered at each grade level. In math, there is no time to develop any kind of mastery because so many topics have to be covered in a year. Kids are arriving in 4th grade with fewer skills and less proficiency than pre-CC$$. Now, even basic kindergarten skills (cutting, pasting, learning how to hold a pencil and basic printing) are all sacrificed so that they kids can do "academics" all day. Kids can't even print correctly when they hit 4th grade (and NO one can do cursive). In reading and language arts, young kids are asked to read and analyze numerous readings at a level well above their developmental levels. I cringe at our district writing sample prompts which ask 9- & 10-year-olds to discuss 3+ resources in a single prompt. I wasn't asked to do that until high school! We've lost our minds. We are harming children. I teach K and 1. I don't think the Common Core is developmentally appropriate for young learners. In particular, the math standards are out of line. K students are expected to have an impressive mastery of subtraction and number decomposition. I have had students who can read years above grade level but are utterly stymied by subtraction because their brains just not ready to master the concept.